I completely made up that name but I hope you can see why. This mushroom is absolutely beautiful! 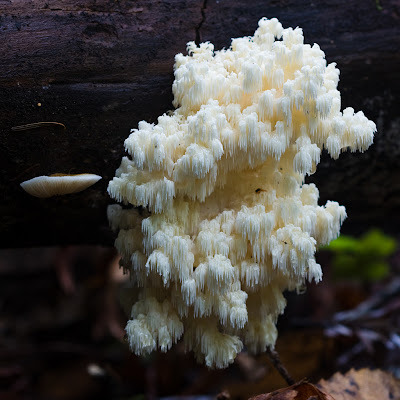 It's in the same genus as the Lion's Mane Mushroom we saw before. That one had long teeth extending down from a central mass so that it looked like a beard growing on a tree. 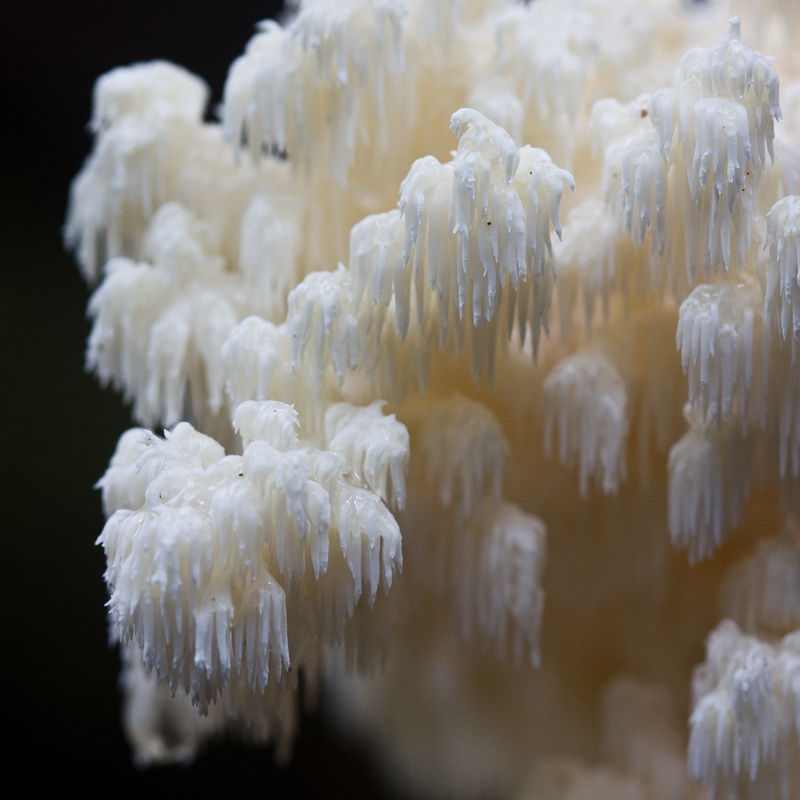 Hericium abietis is different in that the central mass branches out. The effect is a wonderful cascade of what look like densely packed icicles. The whole thing can reach 60 cm (24 in) tall and 40 cm (16 in) across, which is spectacular! And great for those micro-scenes I've always loved so much. 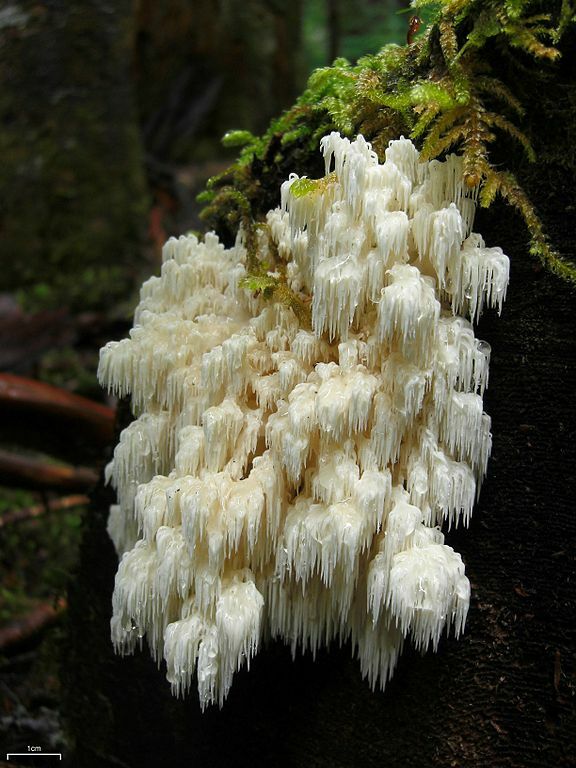 It's found in temperate parts of the world, from North America to Europe to Asia, and grows on conifers. It's also edible in the sense that it won't poison you, but come on now... something this pretty isn't really edible. Not really. mold remediation company removed looks like this, I wouldn't have bothered to remove them at all.